I can’t believe it is nearly mid-June and I’m 28 weeks pregnant! Whattttt? Time has flown by. I’m slowly feeling the panic rise, that the summer is going to breeze by me and I won’t enjoy it as fully as I should, and then soon fall will be knocking on the door and I’ll be nursing an infant. It’ll happen like *that*. I know it will. So, I do my best not to foward-think too much and keep trying to enjoy June. Chris and I finished our last Bradley Method class the other evening. I’m so glad we took the class, it was a learning experience for both of us. I feel so much more prepared for a natural childbirth than before and I truly think that as long as me and the baby are healthy when 40 weeks approaches, there’s no reason for not having a successful natural birth. I know the cost and length of the class scares people off (10-12 weeks and $250-$300) but it was money and time well spent, especially knowing that many women desiring a natural childbirth go into it more unprepared than they think for birth itself but also for what they may face at the hospital intervention wise (based on stories I’ve read on blogs and forums…women with failed natural births the first go-round, realizing they weren’t as educated as they thought, end up making more an effort for a successful natural birth the second go-round). 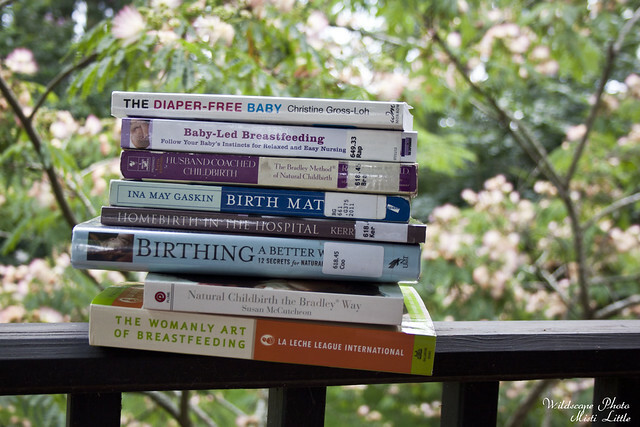 If you are thinking about having a natural birth, absolutely check into the Bradley Method and read the associated books that go with it (Husband Coached Childbirth and Natural Childbirth the Bradley Way). Now that we’re done with class I’m trying to stay focused on doing the daily workouts that are suggested, continuing to eat well, and focusing on my relaxation. I had my glucose tolerance test a week ago and I didn’t hear results for a week. Typically they don’t call anyway if there’s nothing wrong, so by week’s end I had decided that I’d probably passed the test. The nurse called me yesterday and said I did pass with a 134 and the level had to be below 140. I went online to see if I could read more about the numbers and it seemed a bit all over the board with what doctors consider passing, some say 130 and below, others said 140…but then there were women who had results in the 170s and higher so I didn’t feel so bad having a 134. What I thought was most interesting were a lot of the pregnant paleo bloggers who were failing the test, likely because their body’s weren’t even used to sugar and carbs anyway so downing the glucose drink probably threw everything into a whirl. I’m not paleo, but I have tried to watch what kind of sugar I’ve been eating, though probably not as good as I should (damn you seasonal Blue Bell ice cream flavors…and you 1/2 price Sonic shakes…), but that morning I only ate two eggs and skipped my usual morning snack of fruit and yogurt prior to the test. Anyway, the glucose drink was not awful, but it wasn’t tasty. It was an amplified Hawaiian Punch, with a twinge of a chemical after taste. If it had been offered to me as a soft drink I probably would have had two sips and called it good. Just too much sugar….blech. I’m realizing there’s so much to write about since the few weeks I last wrote. I’ll get to the books soon. So, the hospital tour really reinforced that we have to be firm in our wishes while weighing all of the benefits, risks and alternatives to suggestions by those in the hospital. But it also reinforced to labor at home as long as possible before arriving at the hospital. So many natural birth blogs and stories involve the phrase “show up pushing” if you want an intervention free birth as possible in a hospital setting. Finally, the books. That’s quite a stack, most of them thanks to the library. The top one and bottom two are mine, so I can take my time with them. I need to get through Birth Matters quickly since when I borrowed it from the library I was second in line. If I can recheck it I will, but I think it is a popular book. The other library books are all nursing or birth books that I want to peruse soon. I did start reading the top book, The Diaper Free Baby, which is about Elimination Communication. 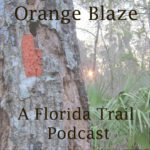 I first heard about this five years ago when we were in Florida from some friends of ours who were doing it with their son. I believe they had success with it and continued it with their second son. It really appeals to me especially after seeing all of my friends and family potty train their 2-4 year olds and how much of a pain it is to do so. The great thing about EC is that you can be a full-timer, such as the stay at home parent who starts it early and does it on a daily basis, or a part-timer such as the working parent who works with the baby mornings, evenings and weekends. There’s even the ocassional ECer who might do it a few times a week. The gist of it is that just as your baby sends you cues for hunger it is also sending you cues for the time to go potty. Since you learn the feeding cues you can learn the pee and poo cues, too. You then assist them in certain holding positions over a toilet or a small bowl when they are newborns and small infants, but as they get older and can hold their head up you can assist them to sit on infant potties, cueing them until they learn with a sort of “pssssss” sound. Apparently it works pretty well. I even asked the female half of our Bradley Birth coaches and she said after she found out about it when her son was six months old she tried it a few times and it worked, she just ended up not being consistent with it to continue. I’m definitely curious about this, so if you have input on EC please share! Plus, hey, if I can get my kid potty trained by 12-18 months I’ll be a happy camper. Chris is on board with it, too, so that helps out a lot. The other book I’m trying to work through is the Womanly Art of Breastfeeding which is put out by the La Leche League. Breastfeeding horror stories abound just as much as birth horror stories, so I’d like to be as knowledgeable as possible about issues and alternatives regarding breastfeeding as they occur. I plan on attending a La Leche League meeting at least once this summer and will probably sign up for the hospital’s breastfeeding class. I personally only know one person who successfully breastfed and pumped for a year, whereas most people I know did it for just a few weeks or months, switching to formula for various reasons ranging from returning to work to latching issues. So, I’m definitely in a realm of my own in this category, with few people to really lean on to learn and ask questions. Actually, we’re in a realm of our own on a lot of this, but we’re ok with that. Learn, research, apply…do our best. I guess I should wrap it up…I think I’ll end up writing more soon since this one was already too long! First off, congratulations on your baby! Nothing is more precious that pregnancy and getting ready for the sweet little miracle. This is the first time commenting on your blog, and I wanted to share with you something I learned from our experience. You mentioned meeting LaLeche League members, and I wanted to suggest you talk with you midwife too and ask if they know of any lactation consultants you could work with. My daughter was premie, and after being apart from her for 2 weeks, unable to nurse her, I miraculously ran into a Lactation Consultant just before we took my daughter home. She set an appointment for me to follow up with her…up until then, no one had coached me about nursing issues with premies, and certainly the hospital didn’t care if I nursed or not. Bringing in what little milk I could pump, for them to fortify the formal with in PICU seemed to be a nuisance for them. Once I got my wee one home, she was dropping weight due to latching issues, and I was so thankful to have that LC appointment. They helped me correct my milk production through a naturopath and they were able to help my daughter and I correct her latch. They nursed us through thrush, finding and suggesting alternatives to prescription drugs that worked. The beauty was that they provided health care…and it was covered by our insurance. They also had a support group of new moms that met each week, with an LC as leader, so it was like having a free, standing appointment each week. Anytime an issue would come up for me, and a doctor would prescribe something for me to take, that wasn’t what i wanted to be feeding my daughter, i’d just have to call the LCs and they would find an alternative for me. Thankfully for them, we had resources to help me nurse my daughter until she was 5 years old.